"Girls need to read stories where any number of possible roles are modeled for them. Just as importantly, boys need to read stories where girls are active participants in adventures. And children of all colors and backgrounds need to know the future includes them." 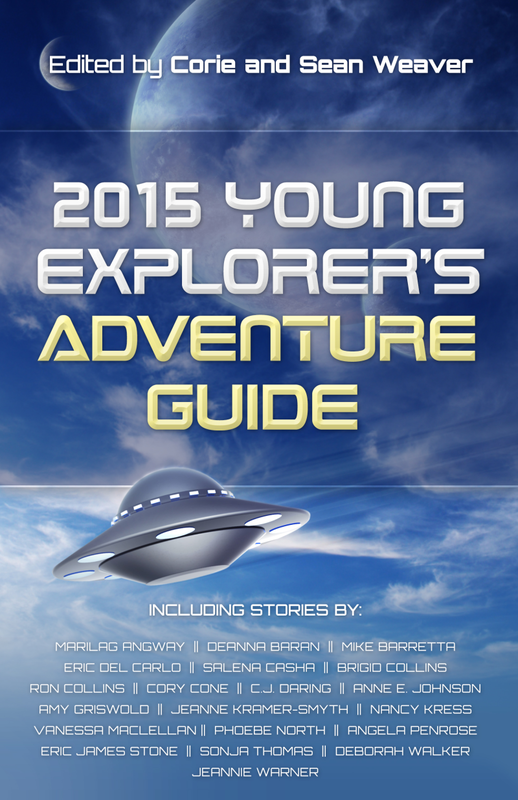 If you have a square -- I mean, dollar -- to spare, then please check out this Kickstarter page for the Young Explorer's Adventure Guide. 20 middle-grade sci-fi short stories. 80% with central female characters. Black, white, Asian, Latino. Human and robot. Everyone belongs. I'm SO excited to be a part of this anthology (especially one that pays the pro rate. woo-hoo!). And as of October 17, a little over 50% of the goal has been pledged, but the project will only be funded if the full $3,500 is pledged by November 19th. Any and all support is greatly appreciated.